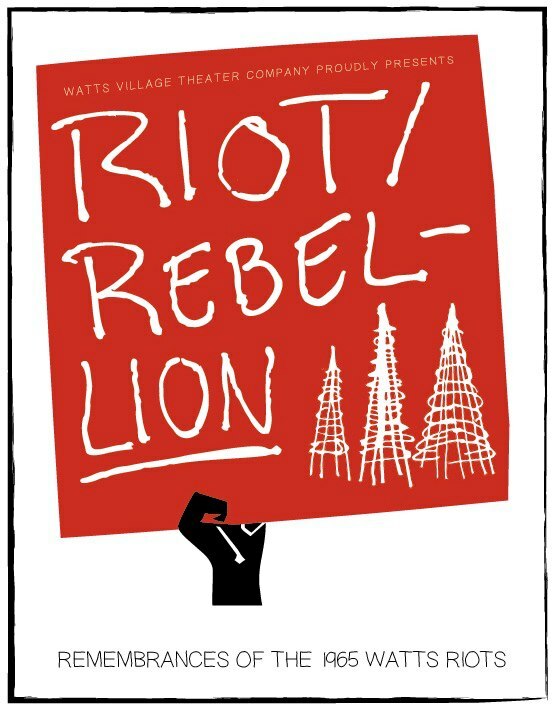 Donald Jolly is the 30-year-old playwright behind Watts Village Theater Company’s world premiere play, ‘Riot/Rebellion.’ The play, which opens on Nov. 1 and runs through Nov. 24, reflects on the August 1965 Watts Riots. We sat down with Jolly to find out about the inspiration for the show, the writing process, and what progress—or lack of progress—has been made in the past 48 years in Watts. Intersections South LA: You are originally from Washington DC and you weren’t alive during the Watts Riots. How did it feel to go about writing a historical play about a community not your own? Donald Jolly: “When I was asked to do this project, I was initially maybe a little hesitant. I thought, ‘Ok that’s not my background and who am I to speak for these people?’ But I also think having that distance allowed me to look at things a bit more objectively. Without that distance, maybe the sort of real investigation and tough questions wouldn’t have been asked. At the same time, I’ve likened it to growing up in DC. I’m Black, inner-city, first generation college student, working class family—there’s something about Watts that reminds me of the DC of my youth. I was very familiar with that kind of inner-city life, so when I came out here to Watts it all felt very familiar. It was different geographical place with a very different history, but there were a lot of similarities and a lot of parallels that spoke to me. 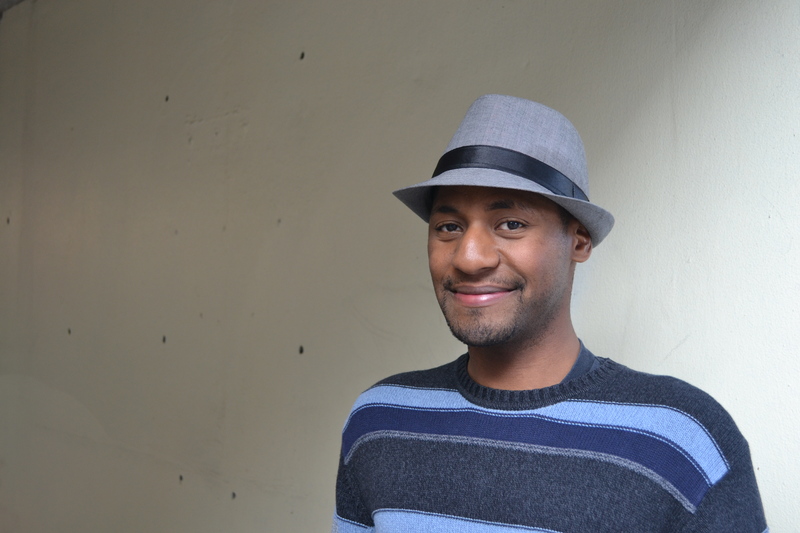 What was behind the idea to try to capture the Watts Riots onstage and how did you come to be the playwright? What can the audience expect to see in this play? “It’s made of an ensemble of seven actors who play against race, against age and against gender to tell the story. The play goes back and forth from being a reporting of facts to being characters who are telling their story. We start the play off saying, ‘Welcome to the Mafundi.’ The Mafundi is a theater that opened up after the uprising and it was a way for the arts to heal people. So where the play is today is that space—it’s now a school. What was the research process for this play like? “It’s based on interviews of people who live in the area. Our goal with that was to get the words of people who haven’t been documented, who aren’t in the historical record. These are just regular, everyday folks, not policemen, not elected officials, not people who have been written up in the newspapers or anything like that. What we set out to do was not wholly a docudrama. So the play has sections of those interviews and it also has research that we compiled. The purpose was to keep the writer at a distance. So I was prohibited from doing any of the actual interviews so I wouldn’t lead them in a certain way. So the actors did the interviews then came back and they performed as the person they interviewed. They were supposed to fully commit and we got to ask them questions while they were still channeling that person. That’s what I worked with at first. I did eventually meet the people from the interviews and they shared even more. Of all the research you did, are there any stories that really stick out to you? One of the stories that struck me—and that there’s a huge portion of in the play—is a story about a young boy named Bruce Moore. He was the youngest person [at age 4] killed during the uprising. His aunt is still alive and she shared this story with us. When we first heard that story it just hit us like a train. There’s something about that story that’s so incredibly moving. It was hot, so [the boy’s mother] let the boys play outside. Then she heard what she thought sounded like firecrackers. She goes outside, Bruce has been shot. She’s in hysterics. She had to get put in a straight jacket, She was institutionalized. So the [woman’s] sister, who told the story to us, had to take care of everyone. What else did you learn during the research process? 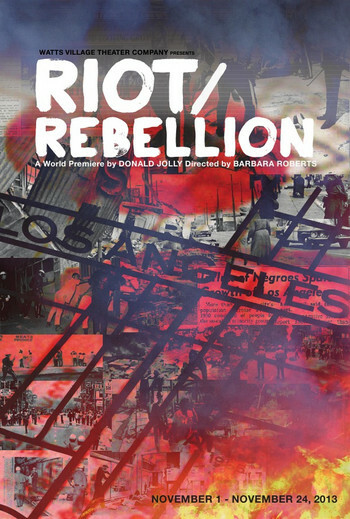 “In 1965 it was the biggest riot LA had ever seen, it kind of took the nation by storm. When you think about Civil Rights, most people think of the southern United States. But this was a big shock to people. Eventually people stopped caring so much. Then [the 1992 LA Riots] happened. So now when I say ‘riot’ most people think of 1992. But this was first. I think it can be argued that 1965 was much more an act of revolt and a way for people to say, ‘look at us,’ because these were people who were being ignored. It would be too simplistic to call it a ‘race riot.’ That’s letting everybody off the hook way too easily. I’m one of those people who believes that we must study our history so we don’t repeat the same mistakes. So if you know about 1992 that’s great, but you should also know about 1965 and look at what happened afterwards. Nearly 50 years after the Watts Riots, what has changed in Watts and what problems does the community still face? “It’s no mystery that Watts still has its problems today and I think its up to the community on some level to work to change those things. That doesn’t excuse the government from some large structural changes that need to be made, but I think the community needs to be encouraged. If greater LA had more empathy for not just Watts but all of South LA, I think the area would fare better. But specifically there are some things that need to change: Education—it is a crime for youngsters not to have access to top-notch education. The schools in South LA deserve better. Jobs—yes the economy’s bad everywhere, there’s a high unemployment rate, but it’s even higher in Watts. That must be addressed. In some sense [these things] haven’t gotten better in Watts. Who do you hope will come to see the play, and what do you hope people will take away from it? “It was a conscious effort for us to stage this play in Watts because we want those people who live all around there to come. We don’t want to make cost a prohibiting factor we don’t want to make traveling a prohibiting factor. Anyone who’s never heard about this, I want them to come. Anyone who’s familiar with the 1965 uprising, I want them to come. Anyone who feels like no one cares about them, that the government doesn’t care about them, society doesn’t care about them, I want them to come. Anyone who feels left out—I tend to write plays about different groups who feel marginalized.